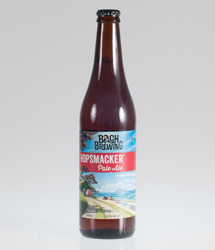 When the opportunity arose to buy a share of the award winning Limburg Brewery (started in 1998 in the Hawke’s Bay, New Zealand), Craig saw his chance to bring together his two greatest passions. 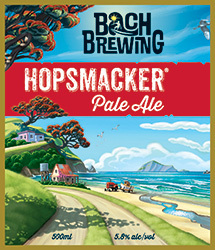 With the help of business partners, family, and friends, he further built the business and brand portfolio including the highly recognized Hopsmacker and Czechmate beers. However the craft beer market was developing more slowly than anticipated and in 2008 the business was closed. Craig retained the Limburg Beer Company, brands and recipes along with a dream to bring them back to life again. The next five years brought many changes. Craig took a general manager role in an international liquor company and moved to Canada. Here he met his wife and had a son. After only a few years they moved to Melbourne, Australia for a general manager role in Australia’s largest beer company. A daughter was added to the family. The constant travel and demands of a corporate lifestyle brought success but took him away from what mattered most – spending time with his family and friends, his beloved coasts, and being the master of his own destiny. 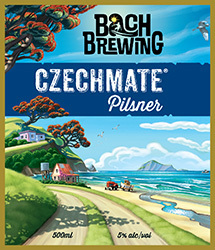 In 2013, Craig moved with his young family to New Zealand to fulfill his dreams of combining his passion for craft beer and his homeland in a new craft beer venture - Bach Brewing. 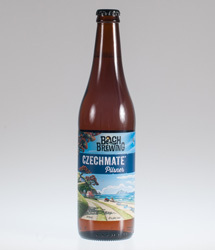 He dusted off a couple of the original Limburg recipes for Hopsmacker and Czechmate, tweaked them for today’s tastes, and is proud to be bringing them back to the shelves and taps of the best craft beer establishments around New Zealand and beyond. A big shout out of thanks to all our friends, family and acquaintances for their encouragement, help and support with the creation of Bach Brewing and our beer as well as the previous Limburg Beer Company. My wife Milena and family for unconditional support & enthusiasm. Sam Newbigin, shareholder, independent adviser and moral supporter. Donovan Bixley, World class-Illustrator and our label designer. Luke Nicholas, Epic Brewing Company. Soren Eriksen, 8Wired Brewing Company. Nigel Shaw, Shane Morley and the brewing team at Steam Brewing Co.
Mark Walsh, lord of our Auckland hop store and chilled storage space. David Cryer, Cryer Malt and Beervana.